Denise Beverly Photography and Artworks is an updated blog for dbvisualarts. 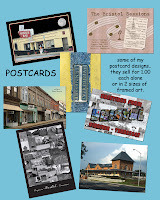 This new blog will showcase products and designs from my online stores such as Zazzle and Fine Art America as well as my fabric designs on Spoonflower and WeaveUP. I have a love of vintage images and often use properly licensed images in vintage designs. I am a wife and mother, self taught photographer and digital artist. I consider my art a gift from God, and from my Dad, an avid photographer. We live in the beautiful mountains of East Tennessee on the border of Southwest Virginia.